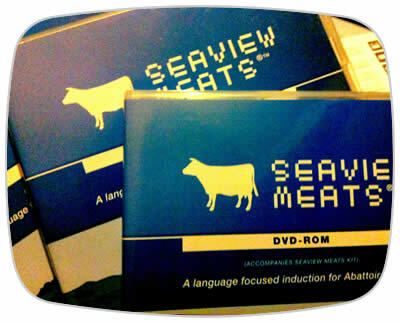 The fictional Seaview Meats is the location for a series of short stories about the workers. It acts as contextualised learning for workers new to the Meat Industry. The resource comprises video, interactive multimedia, learner booklet and trainers guide. Over the course of the resource learners travel through different areas of the factory, learn how to prepare themselves for work, how to communicate with other departments and how to stay safe while working. All within a story framework. The resource was rounded out with interviews from actual workers in the industry talking about their career paths and work life.